Our wide range of Services include the on-going care and preventative medicine of basic Wellness to the specialized needs of 24 hour Emergency Services. From our fully equipped Hospital with special On-Site facilities to In-Clinic Products for Diet, Dental, Ear, Eye, Coat Care, Pet Accessories and more. 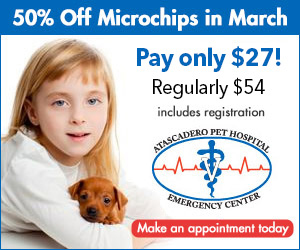 pet services we offer here at Atascadero Pet Hospital.